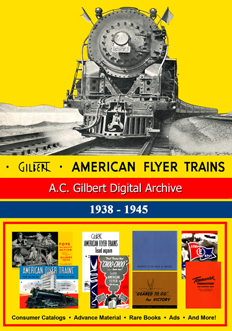 plus the new A.C. Gilbert Archive 1938 - 1945 (available 10/1/2013)! Four volumes covering "Early Prewar", "Late Prewar", "Postwar", and "Modern Era" Lionel Catalogs! 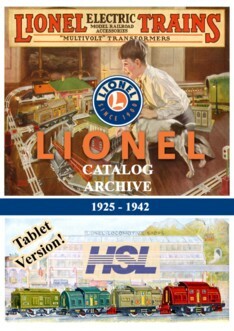 Tablet Versions (for iPads, NOOKs, etc.) 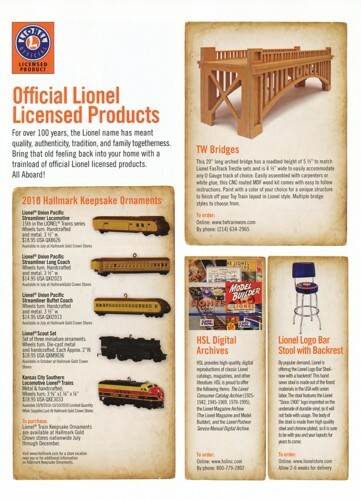 of two popular products! 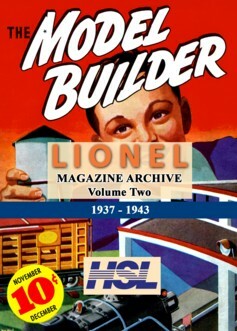 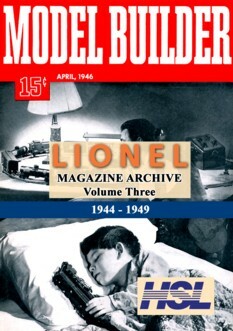 Four volumes covering "The Lionel Magazine 1930 - 1936", "Model Builder 1937 - 1943", "Model Builder 1944 - 1949", and the "Lionel Railroader Club 1976 - 2006"! 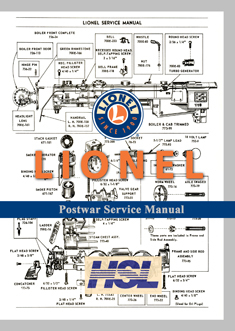 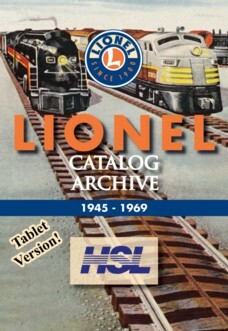 A neat product for Lionel postwar fans! 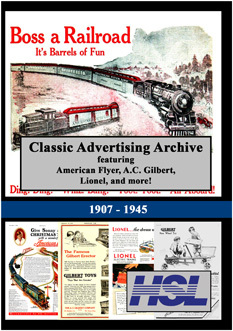 "Classic Advertising Archive featuring American Flyer, A.C. Gilbert, Lionel, and more!" 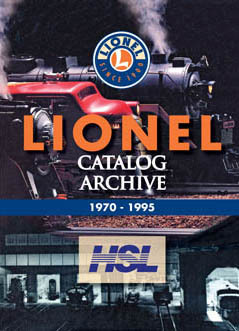 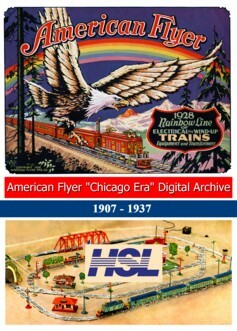 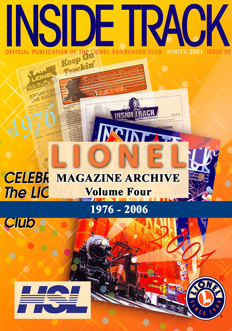 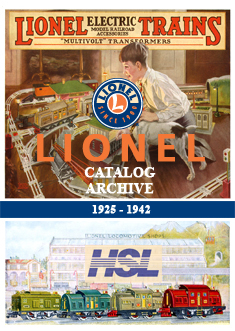 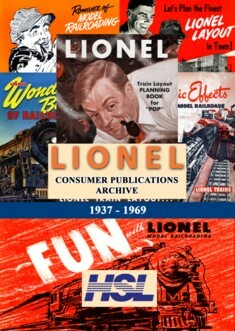 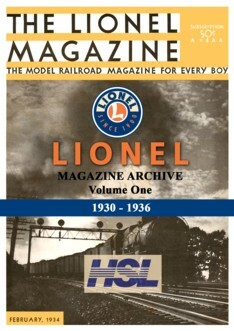 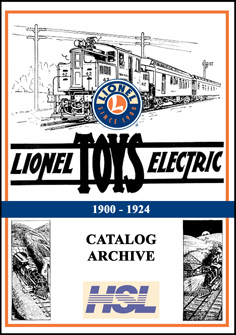 HSL / Lionel digital archive products were featured in the Lionel 2010 Volume 2 Catalog Addendum (Official Lionel Licensed Products)!